Having just completed the Mosstrooper 300km Audax, I’m back home with aching legs. Thank goodness today is a Bank Holiday because I keep falling asleep while sat on the sofa. 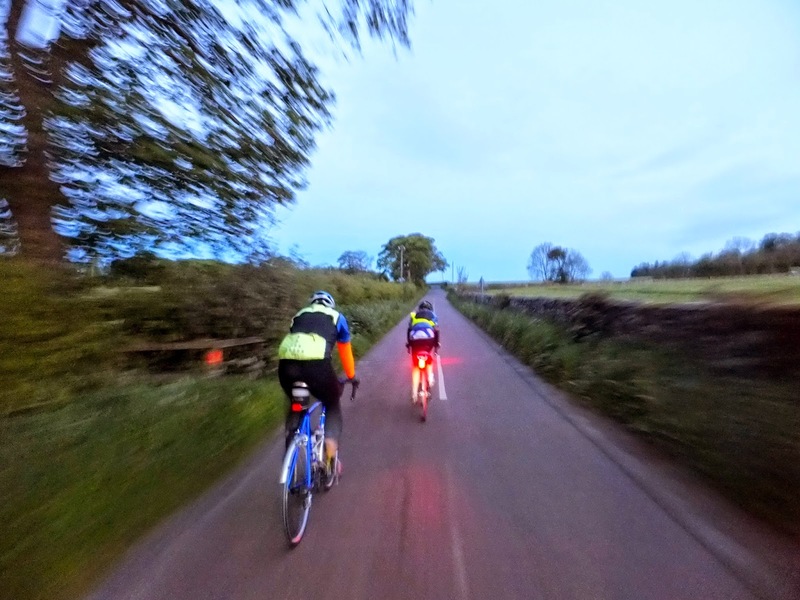 The Mosstrooper is 300km (185 miles) of utterly gorgeous cycling in northern UK countryside, on quiet or empty roads. The climbing is significant but mainly complete in the first 100km, making the rest of the ride a tired but comfortable day out. 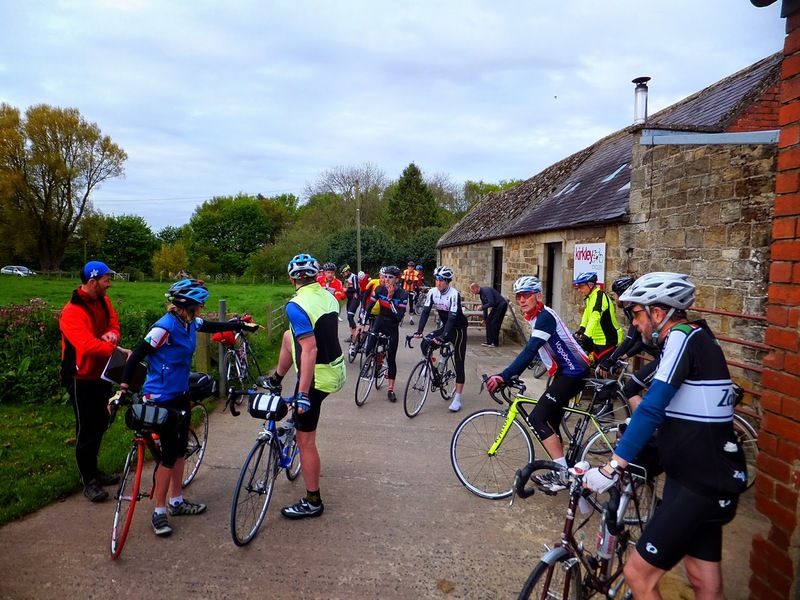 The start kicks off from Kirkley Cycles north west of Newcastle. I chose to catch a train to Morpeth, 20 minutes outside Newcastle and cycle 11km to the campsite. 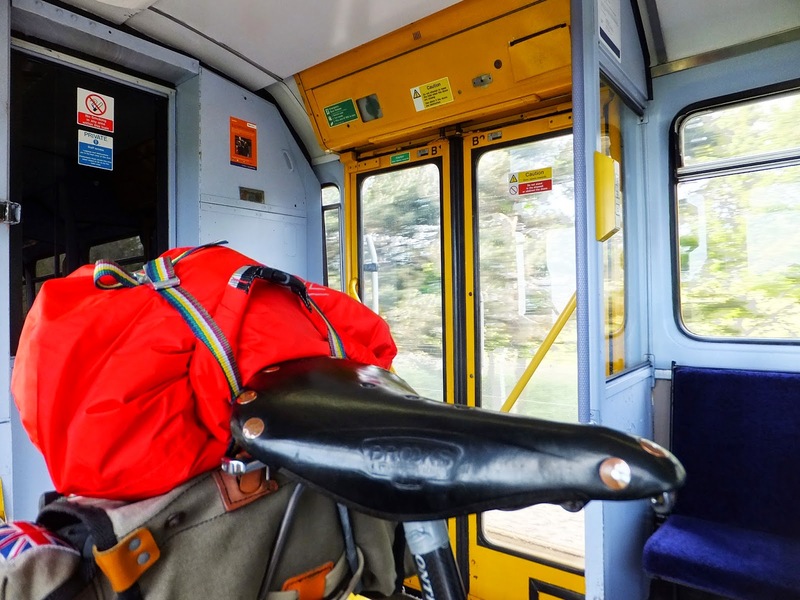 Aidan, our host for this challenging audax, was letting me camp with him so I had a drybag of camping gear strapped to the bicycle. This was something I could leave behind when the event started. 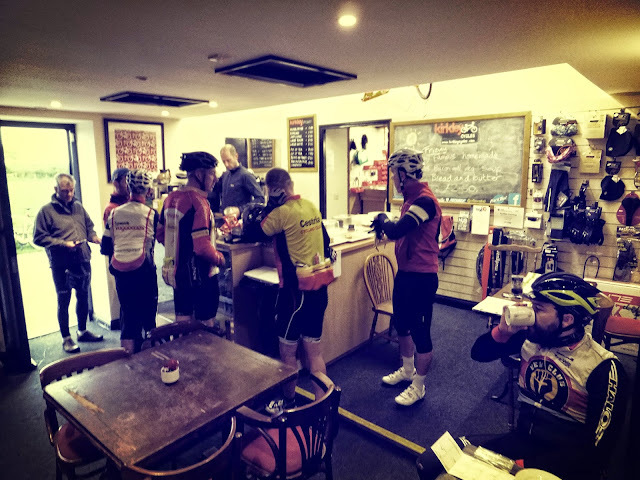 There were a few of us at Kirkley this Friday night so we rode to the Beresford Arms in Whalton, 7km from the campsite. Good food and good beer – that is a nice way to prepare for an endurance cycling event. This also gave us an opportunity to cycle the final few junctions of the Mosstrooper event in the dusky light. Tim, the owner of Kirkley Cycles, runs a nice cafe serving coffee and cakes suitable for cyclists. I hear he might be thinking of a bunkhouse too. We were camping this evening and using the basic toilet facilities. Come the morning we were met with the smiling faces of Aidan and Tim serving good coffee and getting us signed on. It was good to camp the night before because all I had to do was roll out of bed and onto the bicycle. The Mosstrooper is a 300km qualifying ride for the prestigious Paris Brest Paris (PBP) event which runs once every four years. 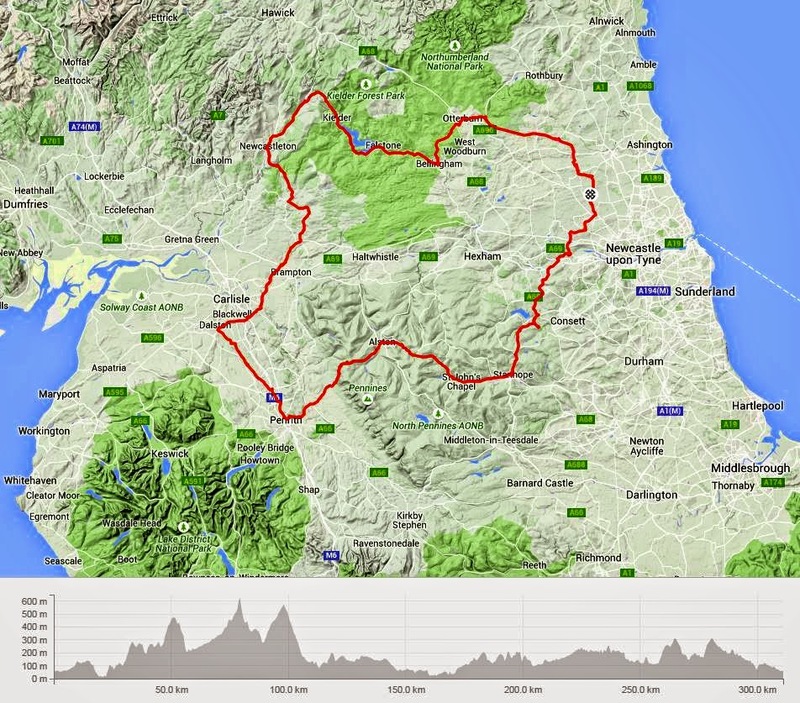 Those hoping to ride PBP have to complete at least four qualifying rides covering 200km, 300km, 400km and 600km. Aidan handed out our Brevet cards and let us set off at 6am. The morning was cool and most riders were wrapped up warm. I was about halfway down the field as we stayed together on easy rolling roads through Ponteland and across the A69 down to Wylam where we cycled along the River Tyne for a little while. We crossed the River Tyne at Ovingham and the climbing started, firstly with a steep climb from the river to the A695 and through the aptly named Painshawfield. 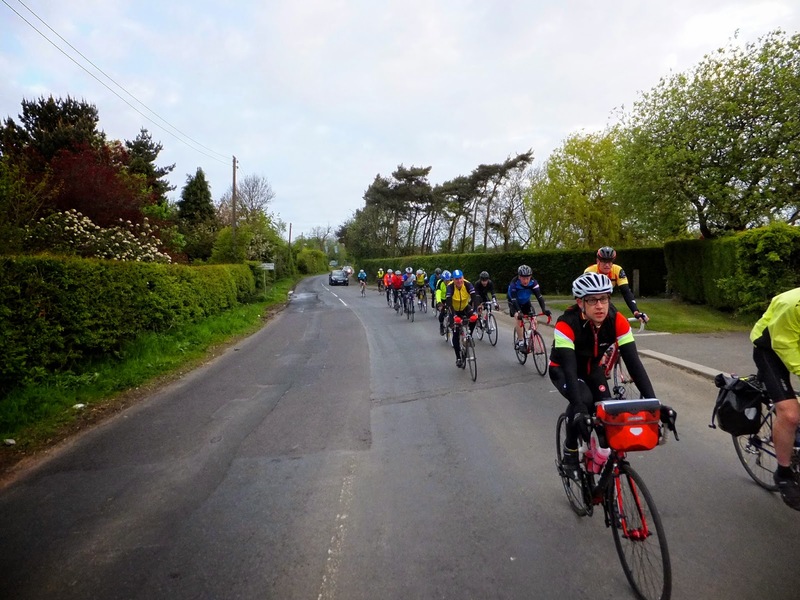 The first hills of an audax always split the bunch, and rightly so as audax events are not races. 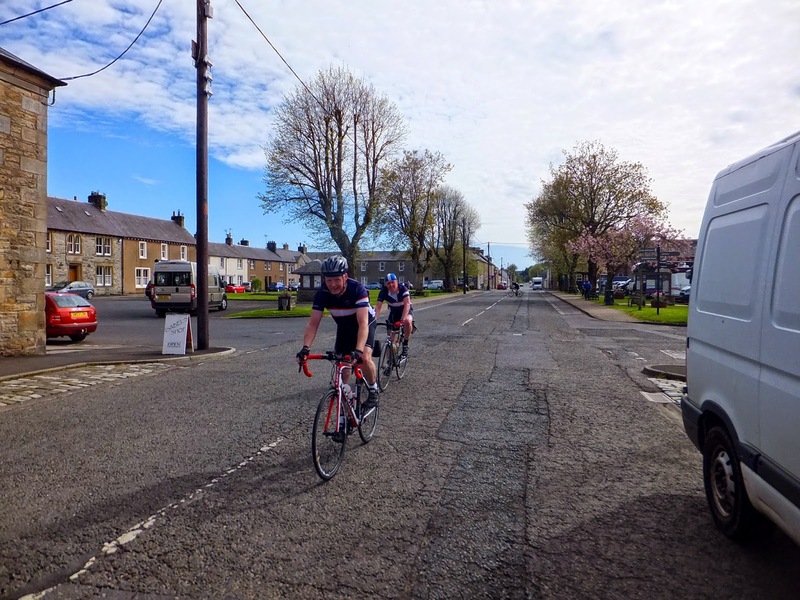 Riders just comfortably settle into the pace they intend to maintain for the day… for the whole day. One thing which marked the Mosstrooper ride was the quality of the descents. 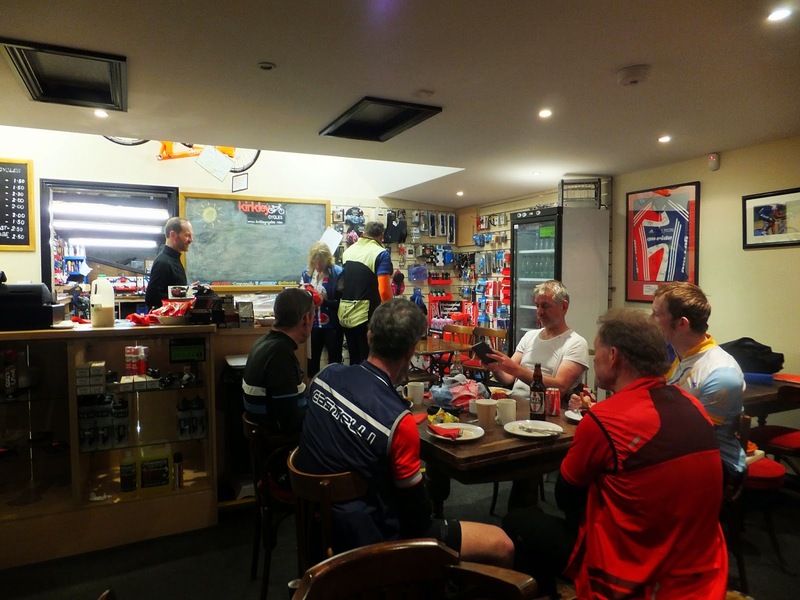 Although the uphill was very hard – all the downhill sections were rewarding, so after a little bit of a blast down the A68 the peloton had reached Muggleswick for breakfast. Lynn was checking us in and noting our arrival on her rider list. Aidan and the team were serving pastries, cereal, fruit, hot and cold drinks all inclusive in the entry fee. It took me a few audaxes to learn how my body likes to be fed. We’d covered 40km and I had started with a piece of flapjack and a black coffee. Here I stopped for a banana and put a spare in my pocket for later, but made sure that my water bottles were full. 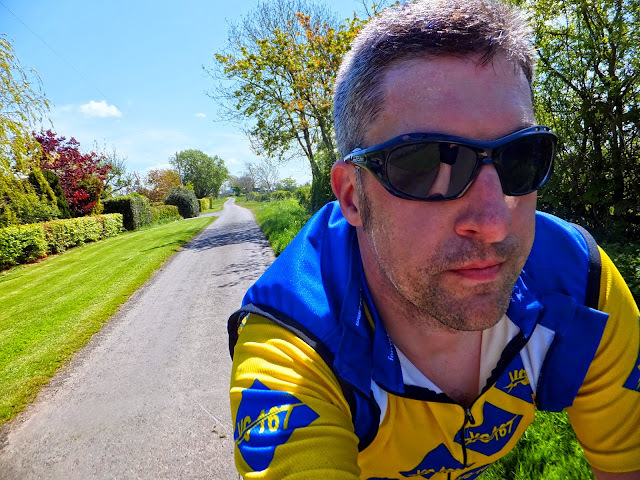 The day looked like it was going to be hot, so I had brought zero-calorie electrolyte tablets to add to the water in the hope I could fight off dehydration and cramp. I also know that I’m a slow rider who has to keep my stops brief, so while others were tucking in I headed straight back out and as I rolled away from the control met Dave, an ex-‘national level’ racer. He wanted some company and was happy to ride at my pace for a while. 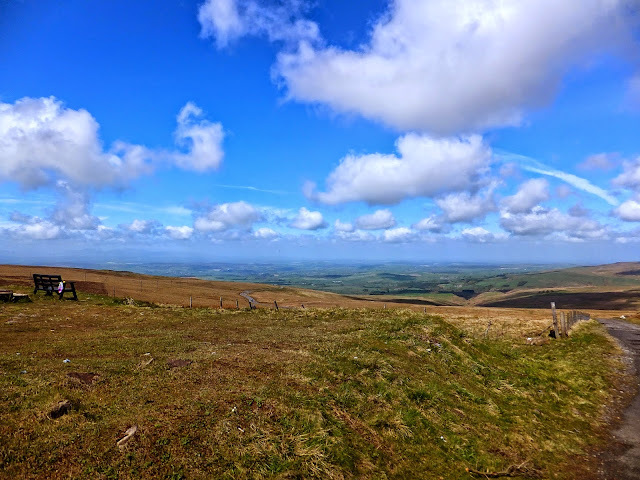 It was really nice to have his company as we climbed Muggleswick Common on the B6278, cycling over the peak at 476m from Muggleswick at 252m. I mentioned the descents were rewarding… and we hurtled down over Waskerley Common, through Crawleyside into Stanhope. 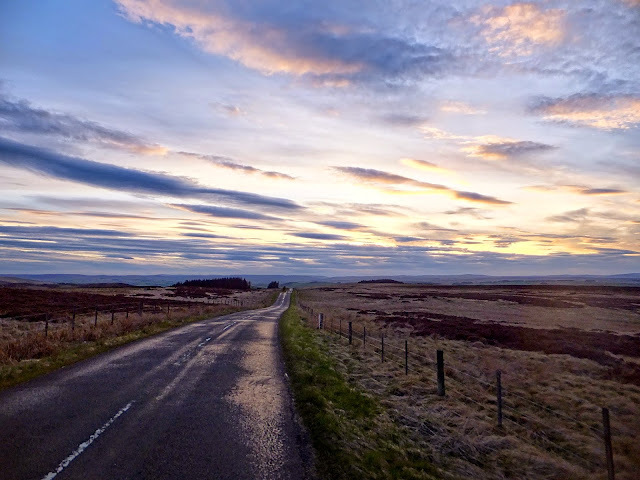 I passed 80kph (50mph) on the way down and then pulsed the brakes to shed speed before turning immediately right onto the A689. There was a signpost telling us that Alston was 20 miles away; the day was really starting now. Dave was good company, but he was in a performance class way above mine. He said he was happy to ride at my pace, but realistically he would have been better off leaving me. 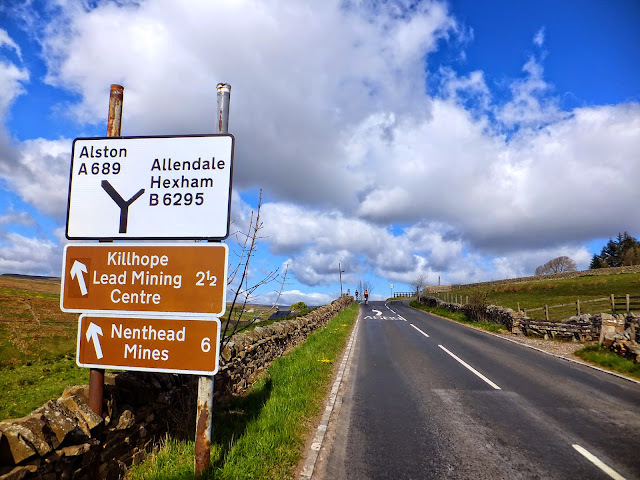 Inevitably, as we climbed through Wearhead and Lanehead towards Killhope Lead Mine, the elastic finally broke and he dropped me. We still had some of the toughest climbing of the day ahead and I was using my granny gear. (It is called a ‘granny gear’ because it take wisdom and experience to use… really it is.) 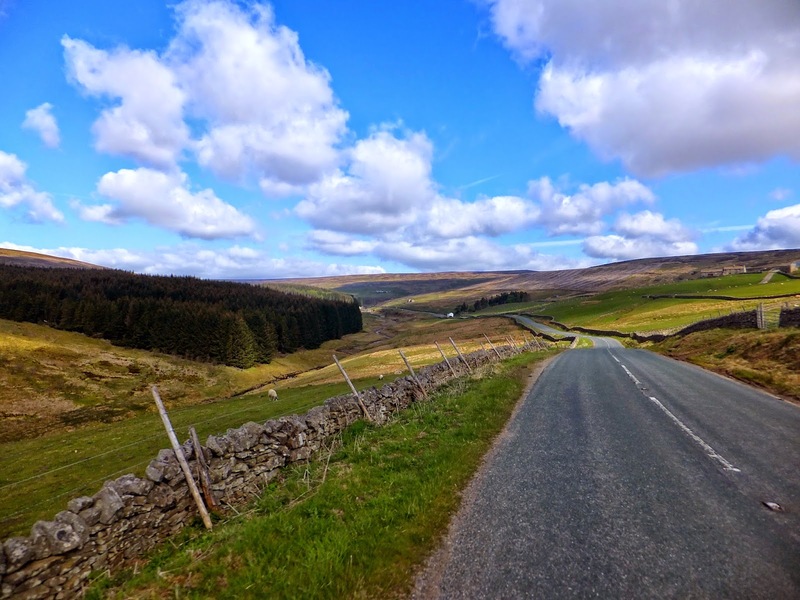 We passed through the Weardale forest and the views back along Weardale from Killhope Burn were wonderful. The weather is often windy, often misty or raining; but today the sun was high in the sky and intermittent cloud cover was keeping me cool. 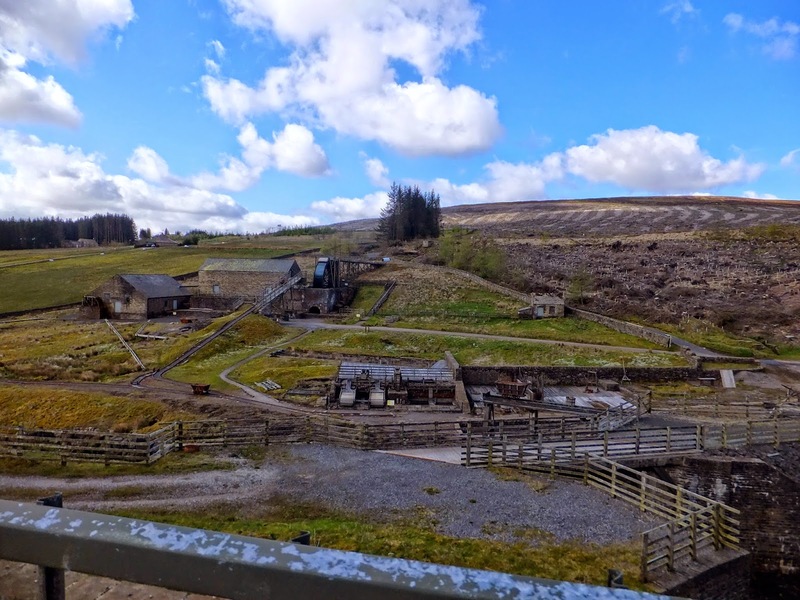 The Killhope Lead Mining Museum is a depressingly named location, and looked no less bleak in the bright sunshine. This museum has a cafe and activity centre and I know lots of school children from around the region come here for some history lessons. The road climbs to Killhope Cross at 623m and we’d covered 80km so far; this was the highest point on our route, even though we had Hartside to come. We dropped very fast from the pass, down through Nenthead with motorcyclists beside us. 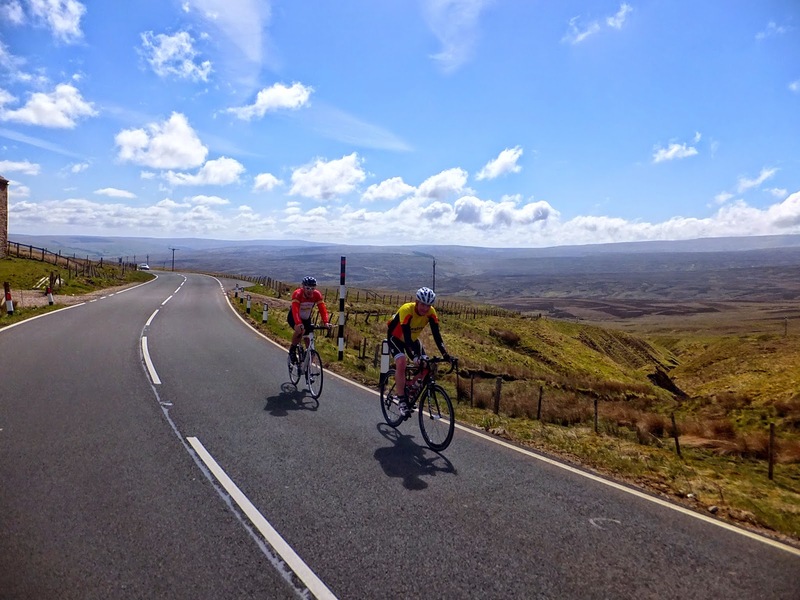 Two riders had passed us at the top, but were unable to drop us on the descent, and even held us up slightly on the approach to Nenthead village – we were moving fast! At the Hartside Cafe I had to stop and refill my water bottles, so I also decided to grab a quick sandwich. 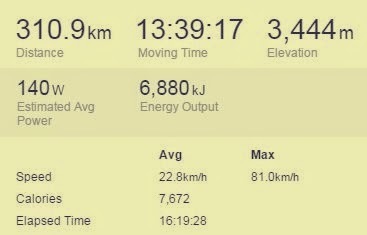 I’d been cycling for 5 hours and covered 100km (62 miles), but at least the majority of the climbing was over for the day. All downhill from here (as they say). What an amazing descent – it bears saying many times: The Mosstrooper’s climbing isn’t easy but the descents are fabulous! 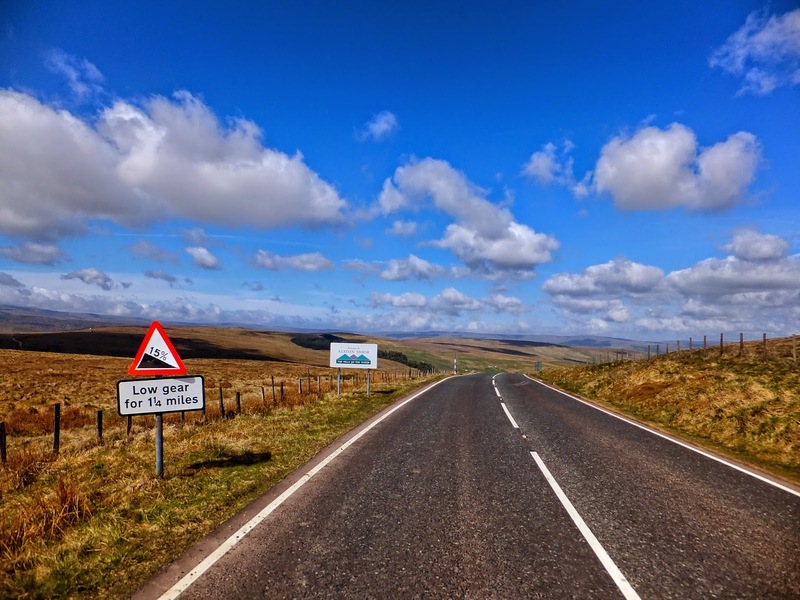 On the road down from Hartside I passed a great many cyclists riding uphill, presumably doing the C2C. I also knew that later the same day there would the riders from an even harder audax cycling up here. 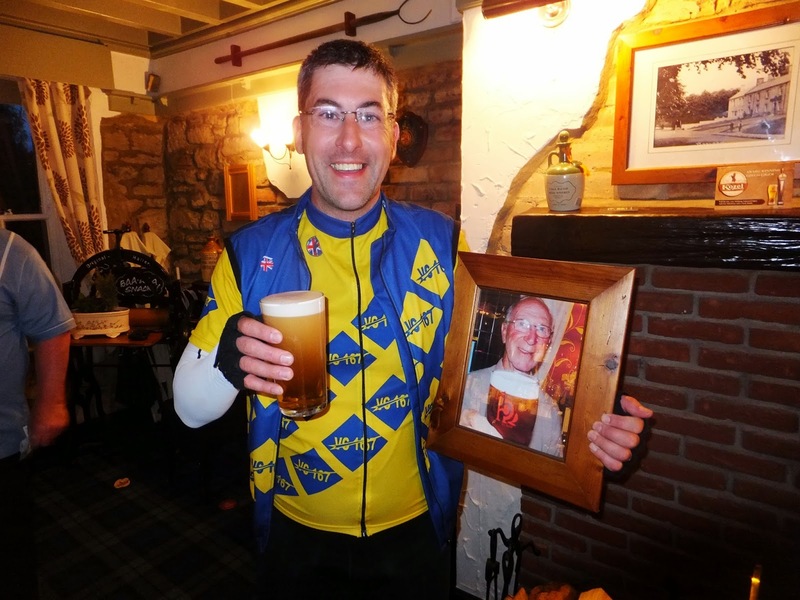 The Old 240 – a 400km audax – was running the same day as the Mosstrooper and I knew several people on that ride. I hurtled downhill, swept around hairpin bends, and kept pace with the motorised traffic pretty much all the way through Melmerby. That was very exhilerating! I was now cycling into the Eden Valley, and on this beautiful day it really felt idyllic. The next ‘Control’ was Penrith at 120km, and I was ready for a proper rest. Unfortunately I had an attack of cramp on the short sharp climb of Beacon Edge on Penrith’s approach and limped to my nearest service station. I’d finally covered the first 120km and the time was 12:06; 6 hours and 6 minutes since I’d set off. 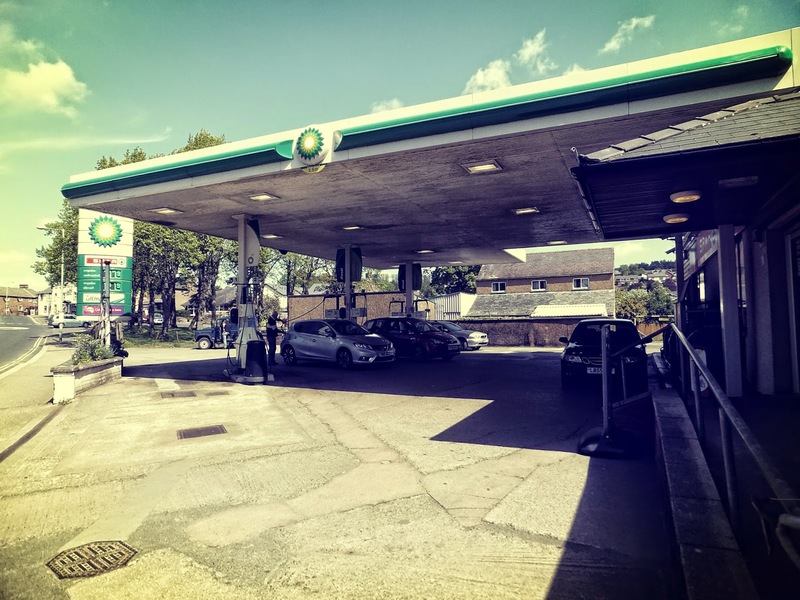 Audax food is what you make it… and if you’re tired then sitting on a petrol station forecourt eating crisps and sandwiches is about the height of haute cuisine. I rested for a good 30 minutes before setting off again, then was soon into the flattest section of the day; from Penrith to Dalton just south west of Carlisle. Aidan’s route was on totally deserted country lanes – it was like closed road riding. We crossed the M6 and cycled along slightly to the west of it. While hard climbing, fast descending and atrocious conditions make for interesting reading… I have to say that I was ready for some ‘boredom’. The mountains of the Lake District were to my left, and the Fells of Cumbria were to my right for 35km (21 miles) as I enjoyed the sheer beauty of the day. I was singing songs of praise in solitary isolation and happy as I could be. I was drinking a lot in the heat of the day, and needed to stop at a service station over the M6 outside Carlisle for a couple of bottles of water. I was carrying the zero electrolyte tablets in my Carradice Barley saddlebag along with some clothes for the nighttime section. While at the services I met two Audax Ecosse riders, one of whom is Martin, the events secretary for Audax UK. We talked about sugar intake and the fact that cats cannot make taurine. I’m not sure why – but I now understand that Red Bull don’t employ cats. As we sat chatting we notice a peloton shoot past, obviously some of the riders had grouped together to make the most of the flat section. 150km (~92 miles) covered so far: we’d reached half way. Leaving the petrol station there were yet more flat roads alongside the River Eden through Wetheral, past Carlisle Airport and on to Newtown. The climbing was about to start again as we headed for an ‘Information Control’ at Bewcastle Cross. The fields were giving way to moorland and the environment was beginning to gain a bleak edge to it. In the fields next to me a Buzzard landed, and then was immediately mobbed by two Crows. I hadn’t really noticed much of the flora or fauna today. My thoughts had been absorbed by the beauty of the English and Scottish geography which I’d experienced both visually and physically. As I cycled on, the road was becoming slightly more crinkly; each undulating uphill was slightly harder than the one before. I met Thomas here, he’d been with the peloton but when his water had run out he’d lost contact with them. 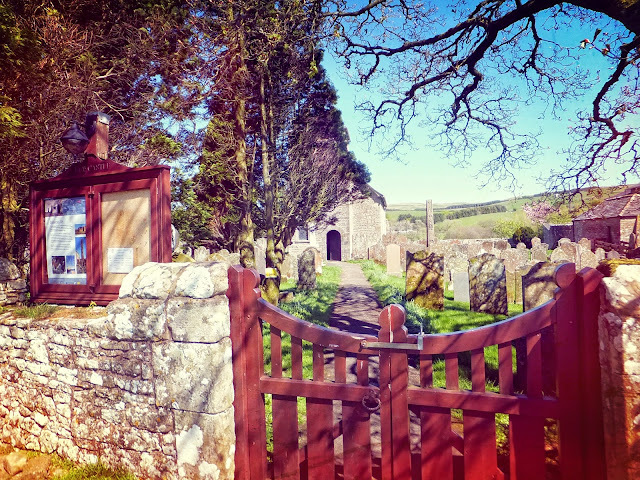 Thankfully he was able to refill at the church because what followed was a long and totally isolated 25km to reach the next cafe ‘Control’ at Newcastleton. 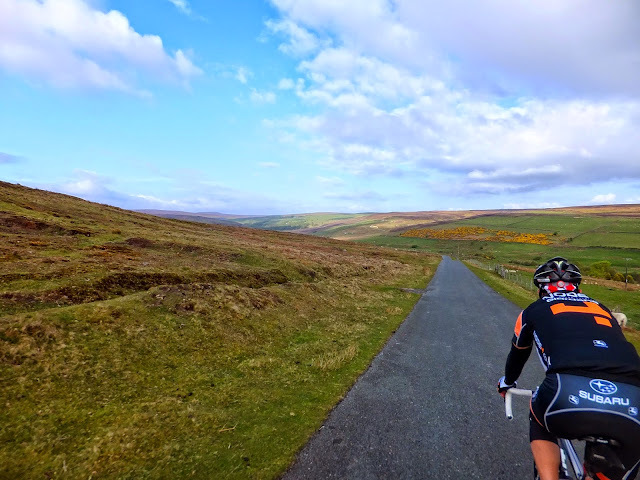 I had been thinking about how hard I was finding the ride, and that the word ‘endurance’ describes an event which will take time and push at physical and mental limits. I was feeling the full reality of the word endurance at this point. The road was getting harder to ride, yet with one final steep drop and crossing of Kershope Bridge before the climb past Carby Hill: there was nothing left but another great descent to Newcastleton. Martin and his fellow rider caught me right outside Copshaw Kitchen. Copshaw Kitchen was buzzing with riders and it was really nice to see I was still in the field. About 20 riders had ridden through already. It was nice to see Anne (of VC167) and I found out she’d ridden in with the large group that had passed me outside Carlisle. Thomas had made it too; we were all ready for something to eat. 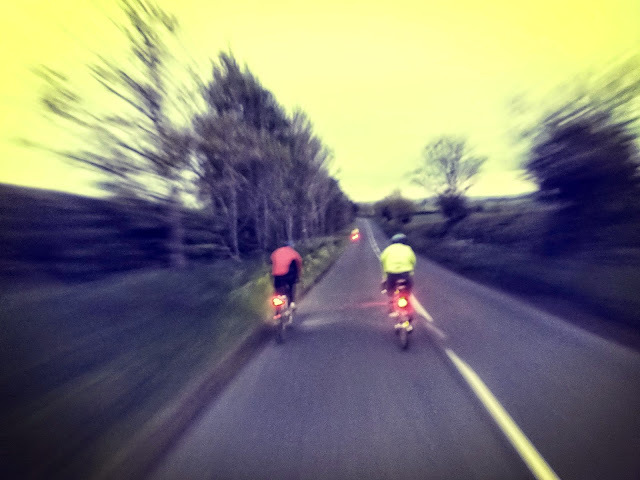 We’d covered 200+km and if this had been a 200km audax many of us felt happy to call it a day. But we had another 100km to ride and we needed some energy. I arrived at 16:25 and after soup and a sandwich, left at 17:15, this was quite a long stop for me but I left feeling much stronger. The route took me north through the Scottish Borders on the B6357 until I took the last major direction change and headed back east alongside Kielder Water. I was grateful for the dappled shade from the pine forests as I’d been baked by the relentless sunshine all day. Finally I began to cool down and my pace picked up. The views north across this massive reservoir were brilliant. I’d like to come back here on a camping holiday some time. Perhaps the Mosstrooper is an easy audax? 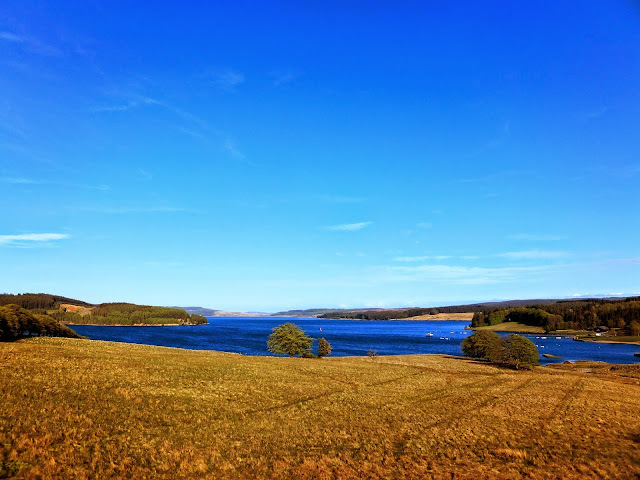 There was more descending to come; leaving Keilder Water I was now riding just behind the Audax Ecosse posse and we flew down more wonderful roads through Stannersburn, Donkleywood, Greystead and Charlton into Bellingham. Then up again, only now the true extent of my tiredness was taking its toll as I crawled over Troughend Common. Surely time for another descent? Okay… and wow did I fly downhill towards Otterburn. I shot past Anne and Ulrich freewheeling on an uphill part thanks to the massive momentum I’d carried from the drop. I’d started to eat Jelly Babies to give me some much needed energy, but the highs and lows of this sugar intake were matched by the highs and lows of my speed. Gravity was playing me like a yo-yo as I crawled up and plummeted down. 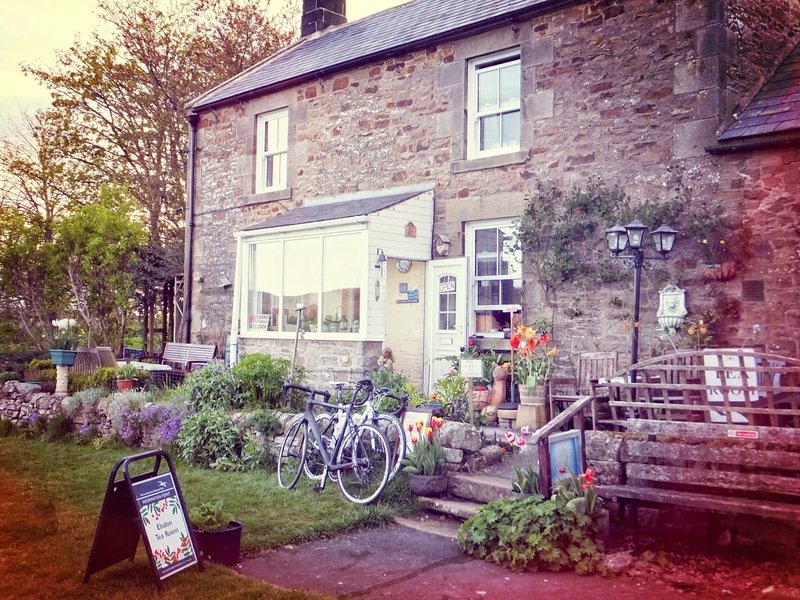 The penultimate ‘Control’ was at the Impromptu Tearoom in Elsdon, famous among local cyclists. Many riders have this as their target for the day, and the walls inside are covered in cycling memorabilia. 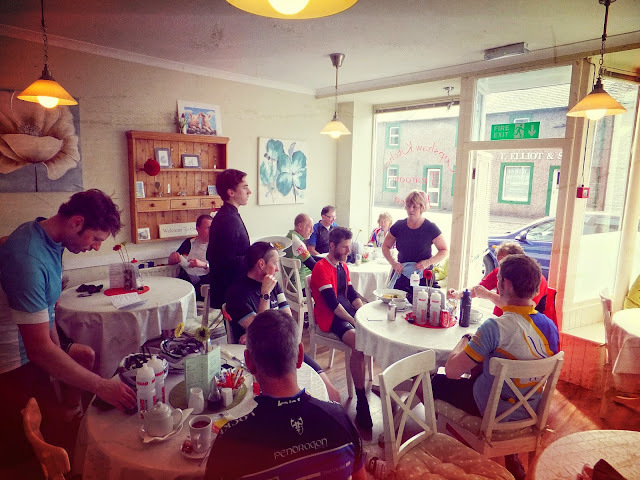 I was relieved to arrive and be treated to fine coffee and excellent “beans and egg on toast” – exactly the food need to tackle the last big climb of the day: Winter’s Gibbet. 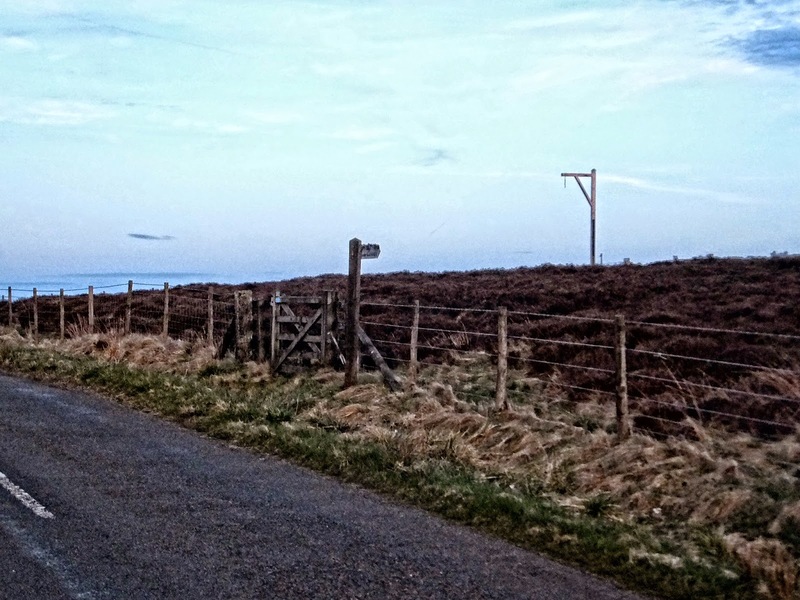 There were maybe only 10 riders behind me on the road as I left the Impromptu Tearoom and started the climb of Winter’s Gibbet. It was billed as the last big climb of the day and everyone knows it has steep ramped sections, false flats and false summits… but truth be told I found it straight-forward. I’d expected something worse and after the brief rest a moment ago I wasn’t crawling anymore. However, I wasn’t fast either: not with only 30km left to get to the finish after 280km riding so far. Looking back the sun was just setting as I crested the top of Winter’s Gibbet. Looking forward I was faced with the famous Gibbet – thankfully long since empty. Believe it or not, the easiest 300km audax ever finished with 25km of high speed downhill fun. From the top of Winter’s Gibbet, the Mosstrooper route hurtles the riders home in double quick time. I caught Ulrich and Anne, who’d left the Impromptu Tearoom about 5 minutes ahead of me. Aidan had suggested that I’d struggle to be back in Kirkley by midnight, but at 22:00 I was back to Whalton and within spitting distance of the finish. Aidan had specifically teased me that I’d not get a beer from the Beresford Arms; so I simply had to stop and prove him wrong. I even had my photograph taken with Jack Charlton. Beresford Arms at 22:00… back at Kirkley for the final ‘Control’ and Arrivee point by 22:20! A warm welcome waited from Aidan and team. Coffee. Beer. Cheesy-beans-on-toast. A wood fire and great company. I have been asked why take part in an event if I ride alone for so many hours. The answer is the camaraderie of being on the road at the same time, of experiencing the same hills and the same descents, of seeing the same countryside, of getting to the end and sharing the joy of having completed the same ride – a shared knowledge of how difficult that was. Endurance. Pow. Nice. I thought it was a granny gear because it was the gear with the fewest teeth, like granny. Darn it Tim! I thought I'd found a description that made it sound okay to use. You've totally undermined my heroic re-imagining of the term 'granny gear'. I was almost bonking then, and feeling a bit low, I tried to get a couple of hours sleep at the truck stop, but too noisy. Next time earplugs, or don't stop ! So, sorry for my appearance and general lethargy. As soon as I had a fry up breakfast at Tescos and warmed up on the bike, it was 100% pleasure again. Apart from that hour of dodgyness, it was brilliant. I'm sure we'll bump (not literally!) into each other again soon, where my brain-thought-talk process will be working, and we can have a real conversation!